Family, friends, rogues, and ramblers: If we haven’t spoken lately: howdy, and happy forthcoming Halloween—Clint Smith here with another memo from the department of shameless self-promotion. However, this particular installment contains an element of charitable altruism. Local editor James Ward Kirk (jameswardkirkfiction.org) recently released Indiana Science Fiction, 2012, an anthology in which this novice scribbler makes two contributions: “The Jellyfish” and “Don’t Let the Bedbugs Bite” (the latter tale has been nominated for an Editor’s Choice award, the winner of which will be announced in early November). But here’s the kind-hearted catch: Kirk has arranged for all proceeds from Indiana Science Fiction, 2012 to go to the Indianapolis chapter of the National Alliance on Mental Illness (NAMI), “the nation’s largest grassroots mental health organization dedicated to building better lives for the millions of Americans affected by mental illness. NAMI advocates for access to services, treatment, supports and research and is steadfast in its commitment to raising awareness and building a community of hope for all of those in need. / From its inception in 1979, NAMI has been dedicated to improving the lives of individuals and families affected by mental illness.” To read more, visit the organization’s website: www.nami.org. The paperback edition of Indiana Science Fiction, 2012 is available on Amazon.com for $9.00 (the Kindle version is just $2.99). 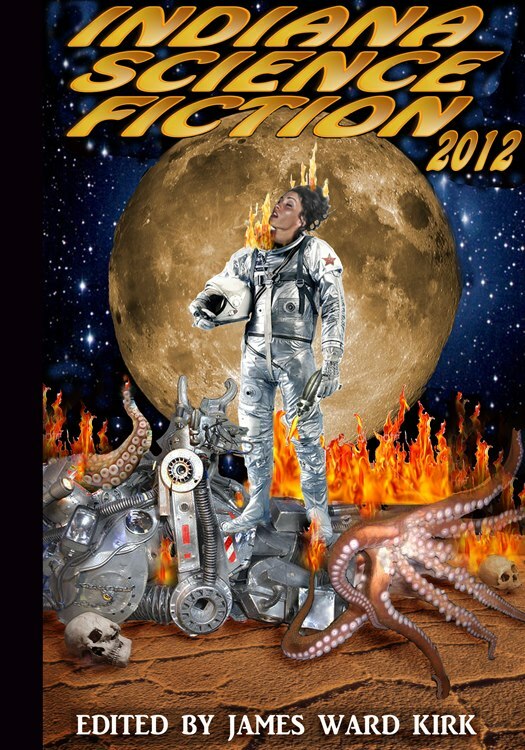 So when time and interest allow, please stop by Amazon.com and pick-up a copy (or two) of Indiana Science Fiction, 2012. And when you get bored to your bone marrow, check out my author’s page on Amazon: amazon.com/author/clintsmith.